Your baby’s skin can be so sensitive and it is so important to find a gentle skincare product which you can trust to take care of your baby’s skin. Consider Aveeno Baby Products which are available from iHerb to pamper your baby and are great for sensitive skin because they are unperfumed and rich in colloidal oatmeal. This means that Aveeno, Baby, Daily Moisture Lotion, Fragrance-Free acts as a natural moisturiser which can help to restore the skin’s natural barrier and prevent water loss. You wouldn’t want to use anything on your baby that you wouldn’t use on your own skin and Aveeno, Baby, Wash & Shampoo, Lightly Scented is a lovely lush product which you can use to baby your baby’s skin and your own. It’s reassuring to think that products which form part of your routine beauty and skincare regime can also be used on your baby’s skin. Aveeno baby products are available at iHerb and ship to over 160 countries, so not only is it a really amazing product, but it’s also easy to get hold of and can be trusted to work on even the most sensitive skin. 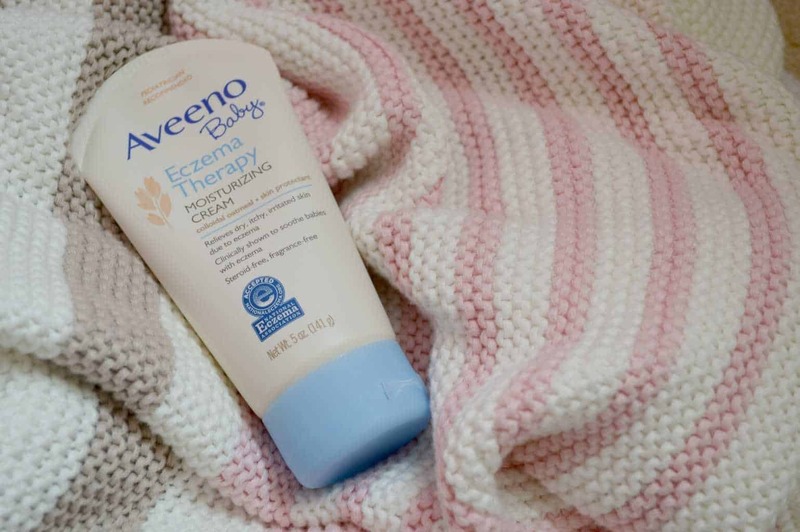 We love the Aveeno, Baby, Eczema Therapy, Moisturizing Cream, Fragrance-Free because it’s so delicate and moisturising – It is also especially good for babies who suffer from dry, itchy, irritated skin due to eczema. If you like this product then you might want to try the Aveeno, Baby, Eczema Therapy, Soothing Bath Treatment as this cream goes hand in hand with the moisturizing cream. Aveeno, Baby, Soothing Relief Creamy Wash, Fragrance-Free is a little lighter and will gently cleanse and soothe dry sensitive skin. So whilst bath time for baby is a really great time to bond, it’s best to only bathe your baby no more than 2 or 3 times a week, just to make sure that you don’t dry out baby’s delicate skin. As Aveeno is fragrance-free, you can even add your own essential oils like lavender or geranium or neroli oil if you think that any of these oils might have beneficial properties for your baby or your skin. Every baby has problems with diaper rash. Let’s face it, if you have ammonia next to your skin for any period of time in a moist warm environment, you’ll be hard pressed not to end up with a rash too! So don’t panic about rashes that appear in the diaper area. These kinds of rashes come and go and so long as you treat the skin gently and let the skin breathe as much as possible, and make sure the skin is cleansed and moisturised gently with gentle alcohol-free products like Aveeno, you won’t go far wrong. 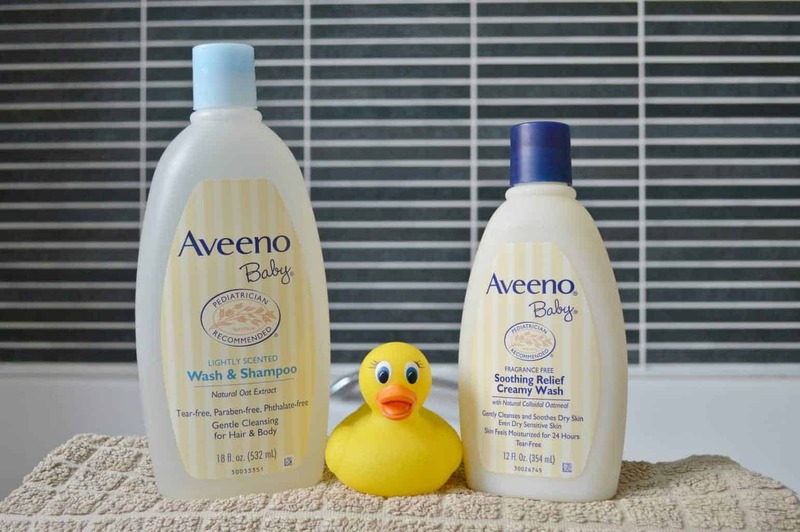 iHerb has a wealth of products available and sells all the Aveeno Baby range including the Aveeno, Baby, Daily Moisture Lotion, Fragrance-Free which is great for protecting against nappy rash. 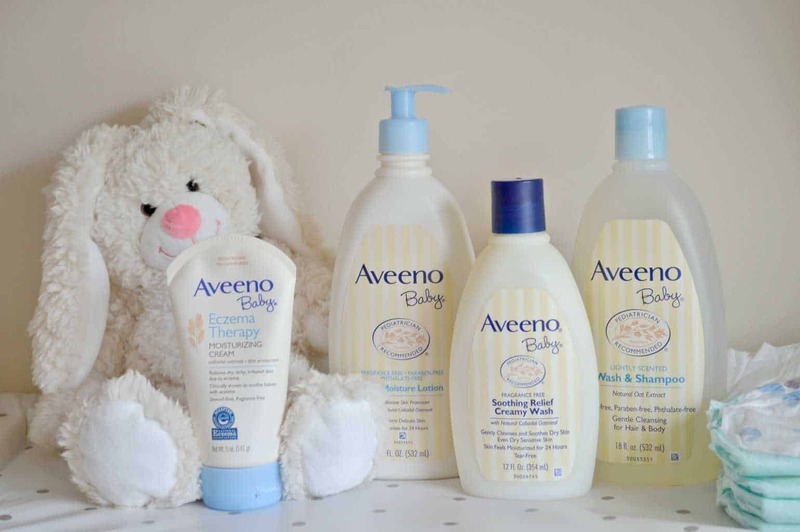 You can rest assured that all Aveeno Baby Products are Pediatrician Recommended and will be suitable for not just your newborn’s skin, but also for babies who have sensitive skin in general. Finding a product like Aveeno which is easy to love and a reliable company like iHerb where you can buy Aveeno baby products provides great peace of mind. Plus don’t forget that iHerb is a Google Trusted Store provides support in 10 different languages. Even better is the chance to get 10% off Aveeno Baby and Johnson & Johnson products before June 30th 2017! So get your orders in fast to take advantage of iHerb’s 10% discount and help keep your baby’s skin soft and supple! We’ve never used this brand before but Erin has eczema so I’d really like to try it! This sounds like a fab baby range. I hear only good things about it. I use Aveeno as prescribed for my children but these look fab to use to help prevent skin problems occurring. I’ve seen a lot of really positive things about Aveeno products lately. My eldest is having quite a bad eczema flare up at the moment, so I think I’m going to grab some of their products tomorrow and see if they help. Ooh, this is very timely. I have been recommended Aveeno for me and for B. I literally just picked up a moisturiser for myself yesterday. Didn’t see the baby stuff, so now I know where to find it! 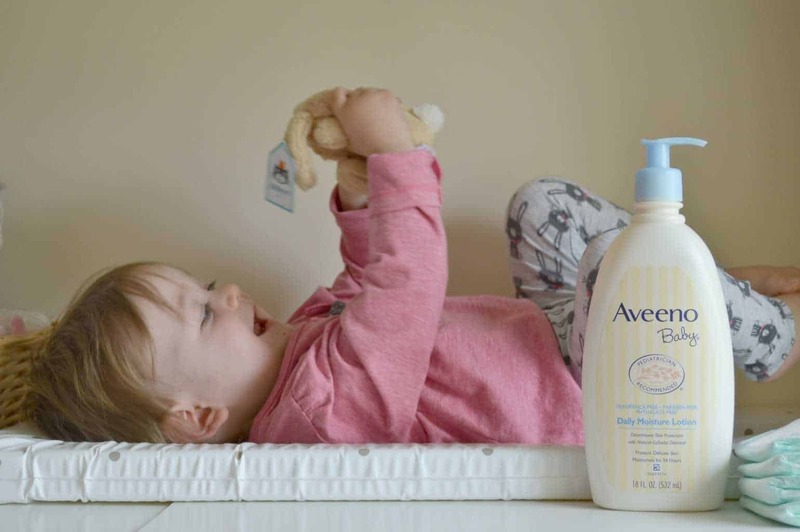 I love Aveeno skincare and loving it even more so now that they have a kids range to boot. here I come boots. I love Aveeno products, I use them on my skin and it has been working wonders so really glad to know they have a kids range too.